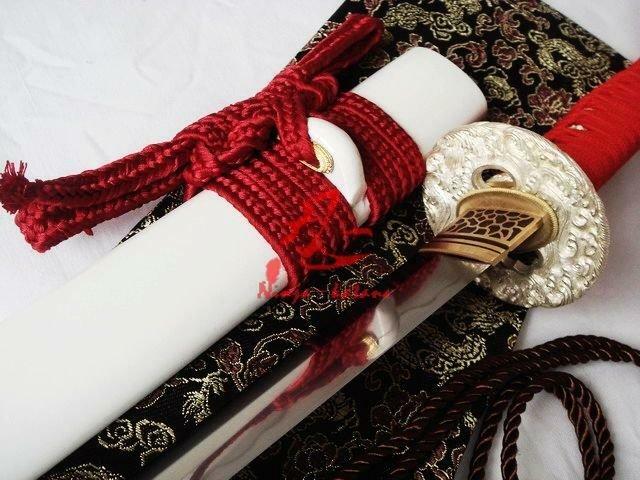 -Sageo: made of top quality pure silk . 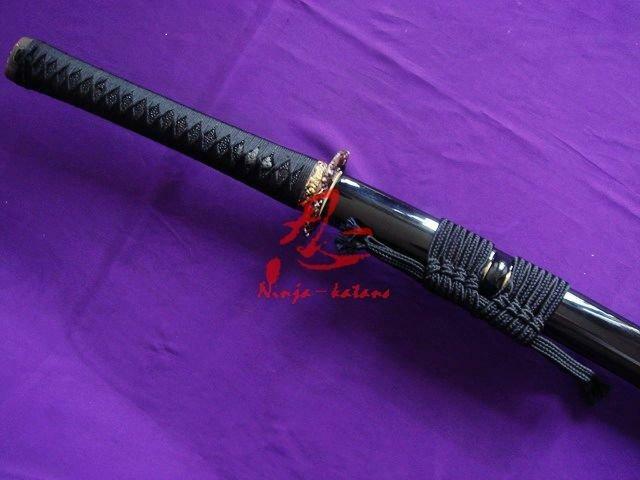 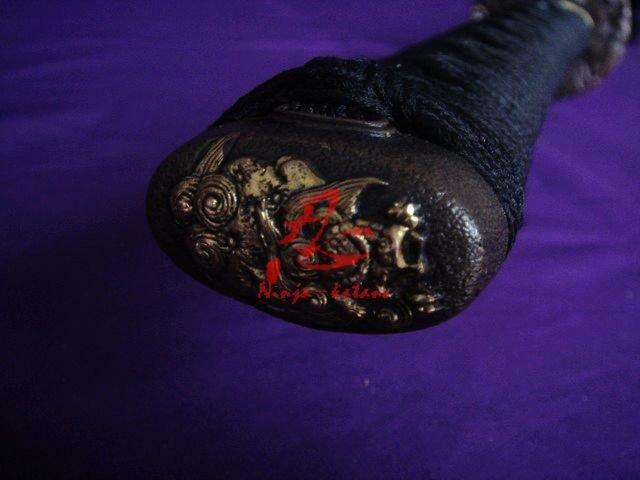 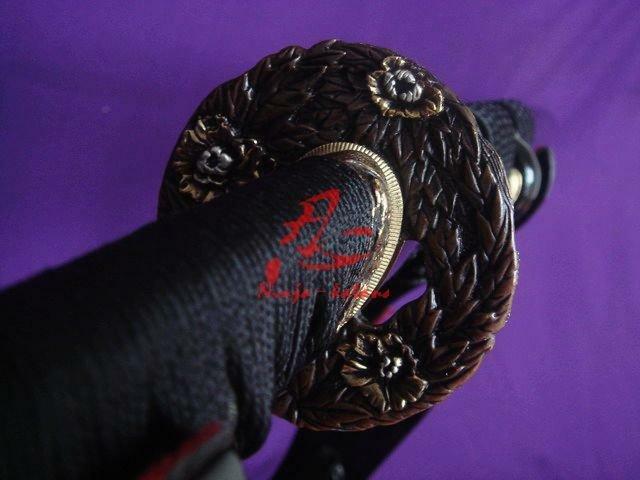 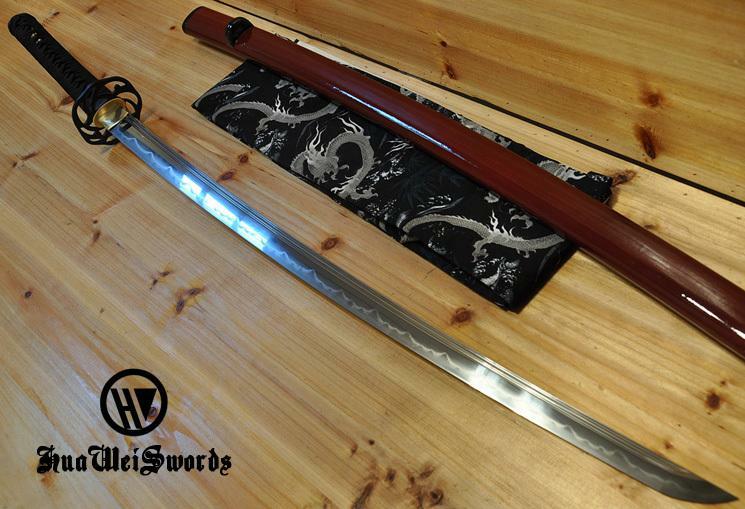 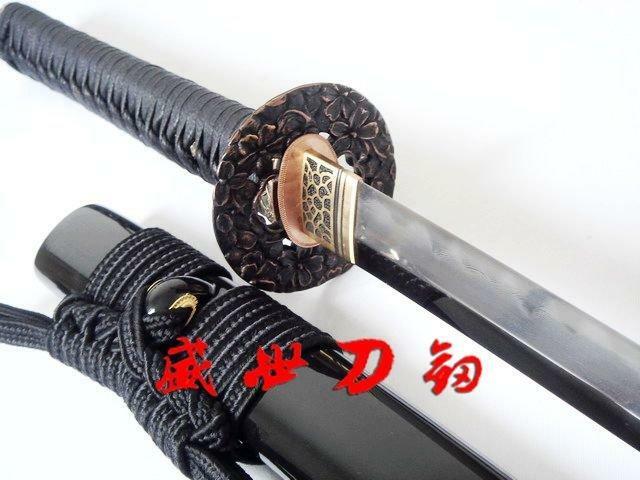 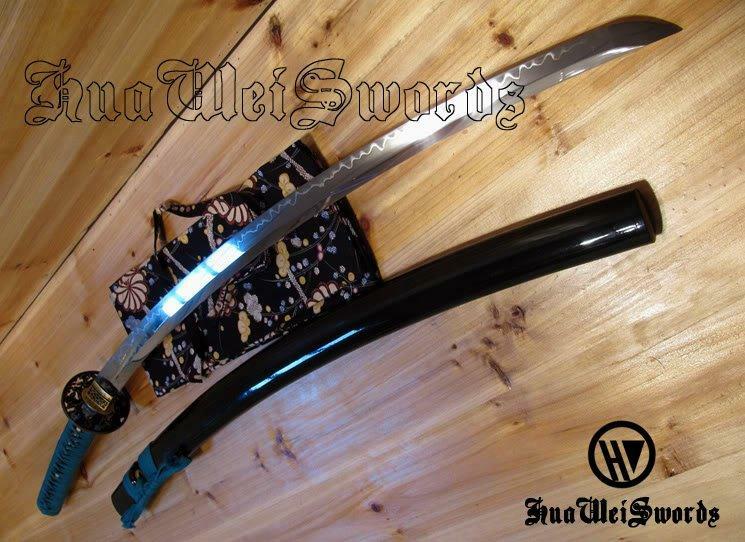 -Saya (Scabbard): selected hard wood ,black lacquered be shine. 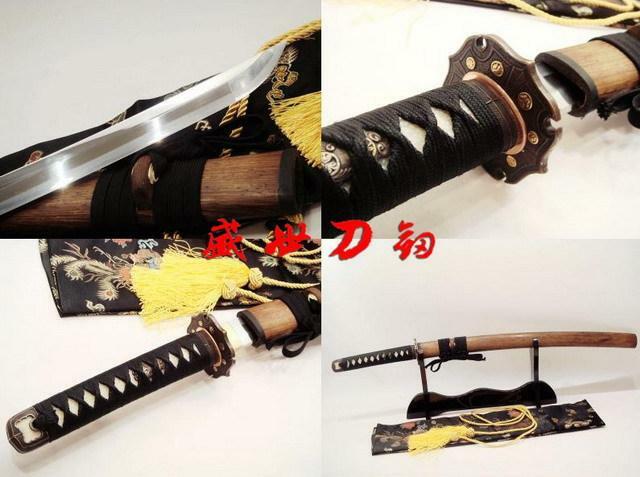 -blade: This high quality battle ready and beautifully detailed katana is completely hand made by using traditional Japanese forging techniques. 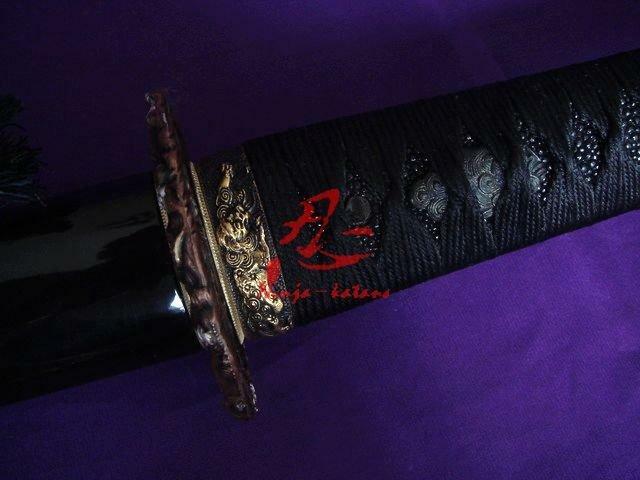 100 percent of the blade is MARU (triple layer, triple hardness) hand forged of an AISI T-10 carbon steel, through mixed folding. 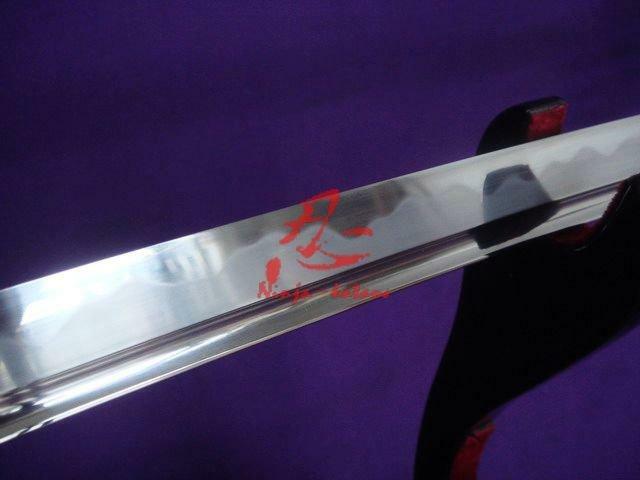 The blade is forged to produce an HRC60 edge, HRC40 back through a traditional clay tempering method and can be fully disassembled anytime to maintenance. 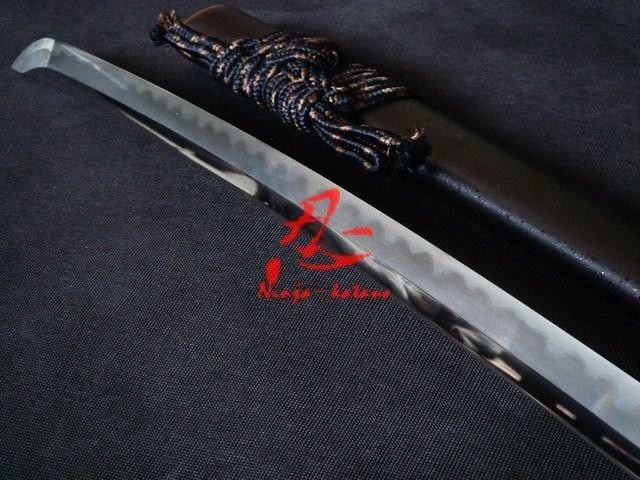 This tempering ensures a hard and durable edge and a flexible spine. 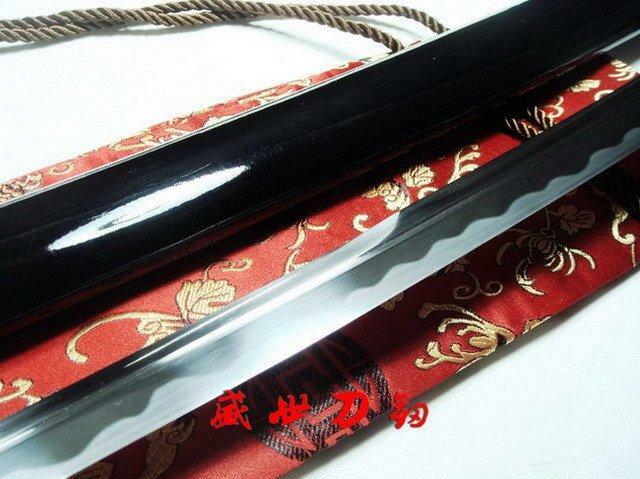 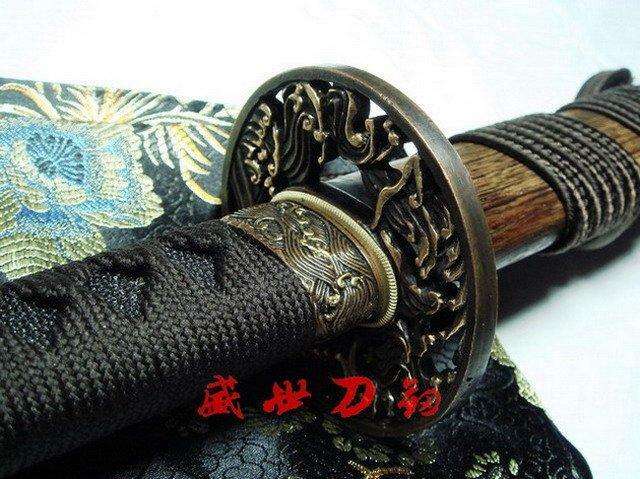 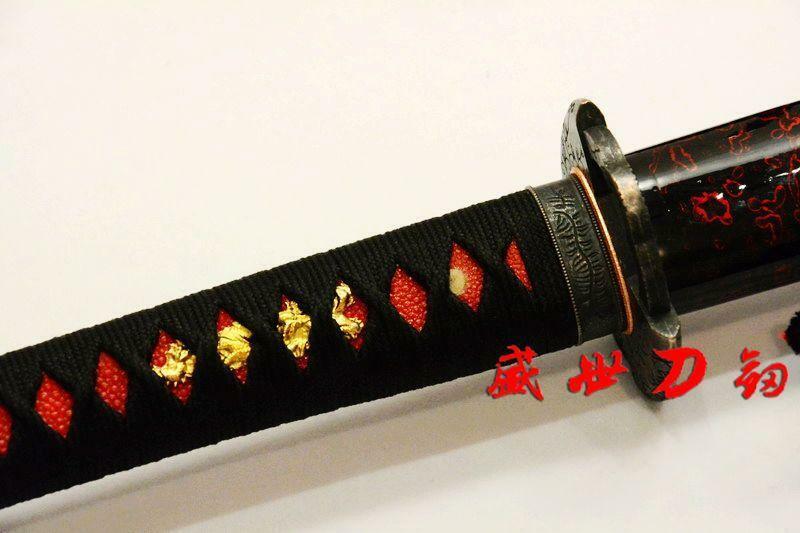 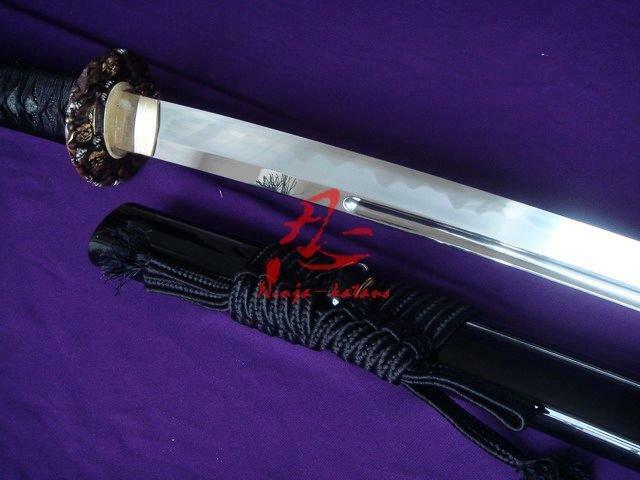 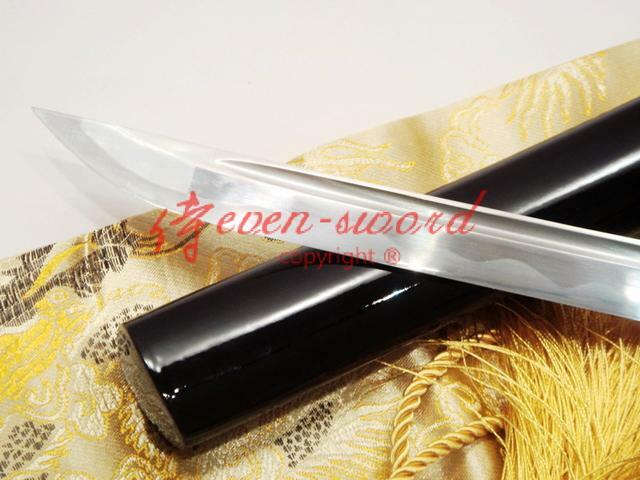 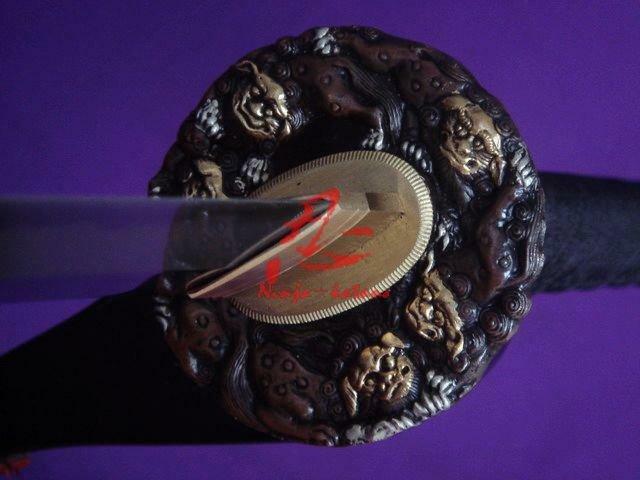 The blade is traditionally water quenchedand hand polished with a Japanese polishing stone. 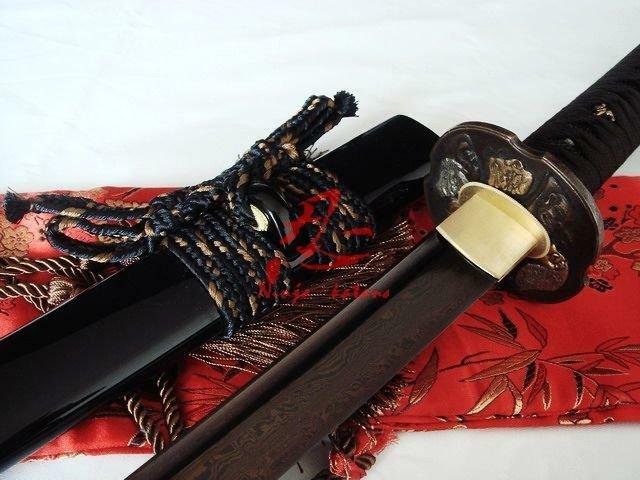 The technique gives the blade a blend of hardness, toughness, and flexibility. 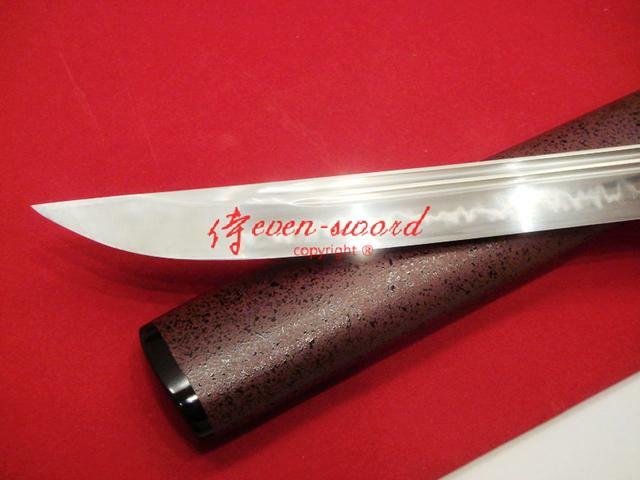 hamon (tempering) line and the boshi (knifepoint) are beautifully visible and clearly handmade. 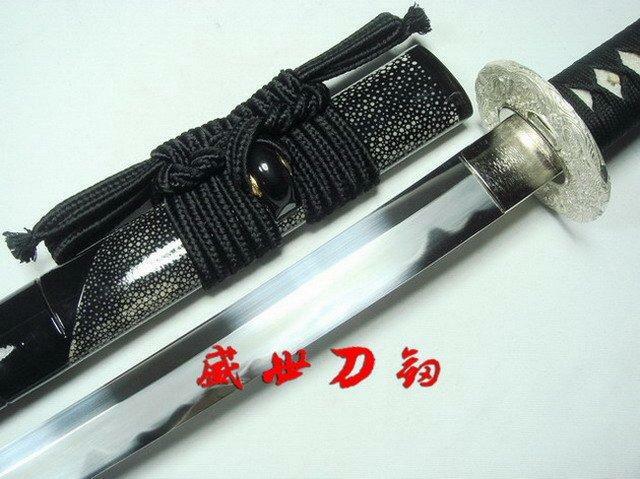 The hand sharpened edge can cut Mantis Goza tree and bamboo without any chipping, denting or cracking on the edge.This unique high quality battle ready sword is perfect for Iaido (quick draw) and Tameshigiri (test cutting). 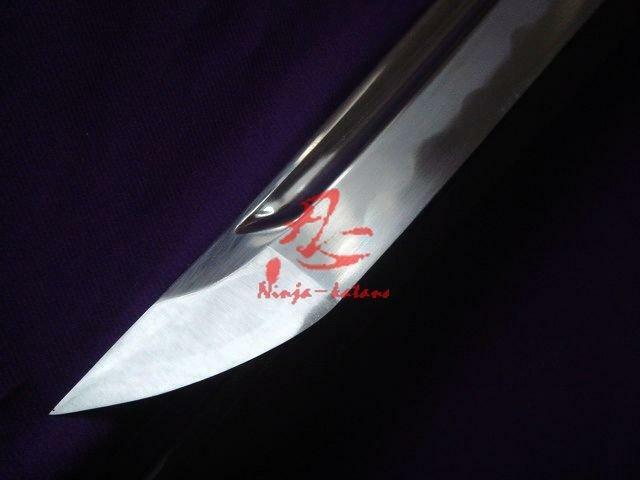 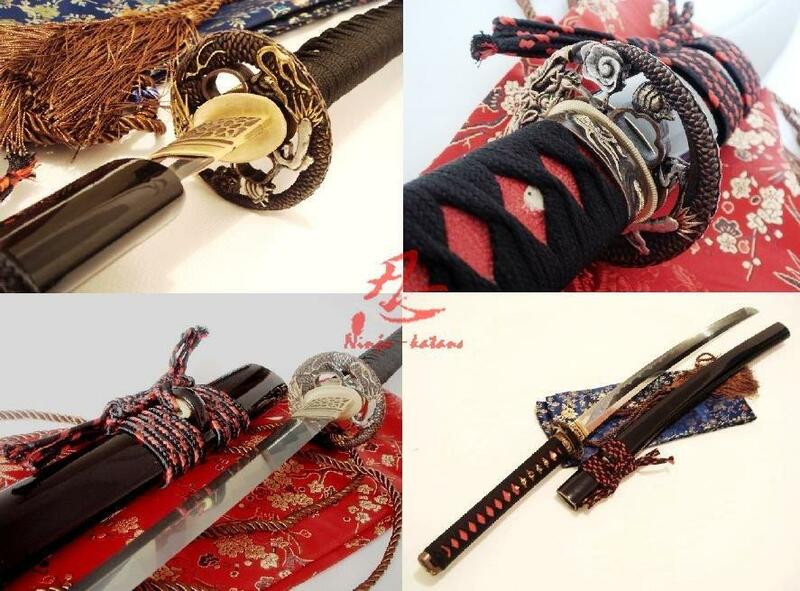 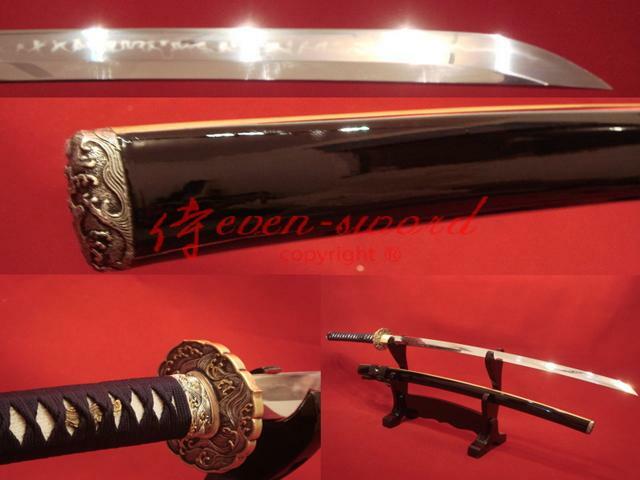 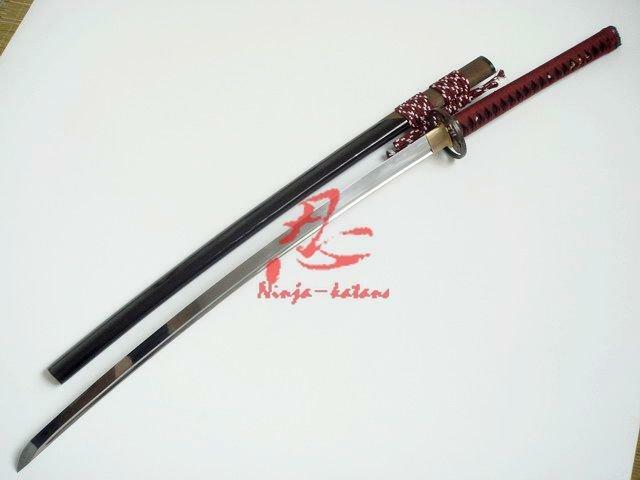 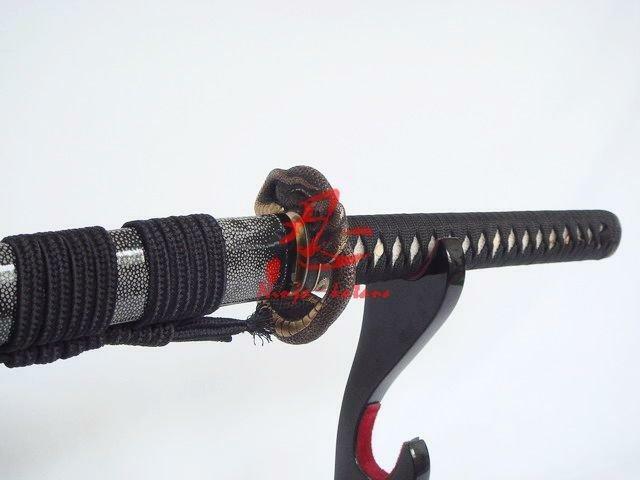 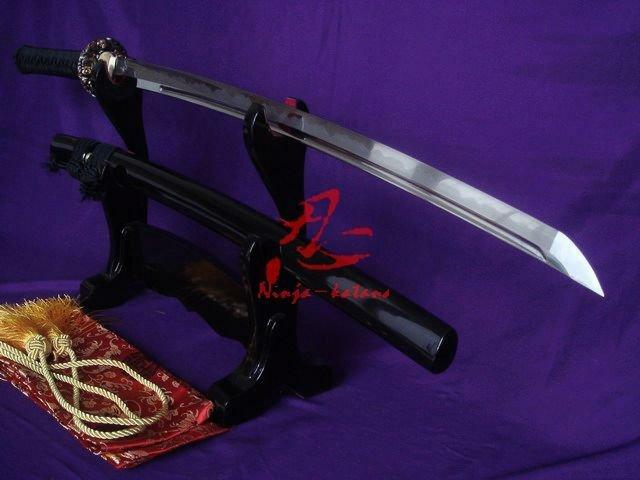 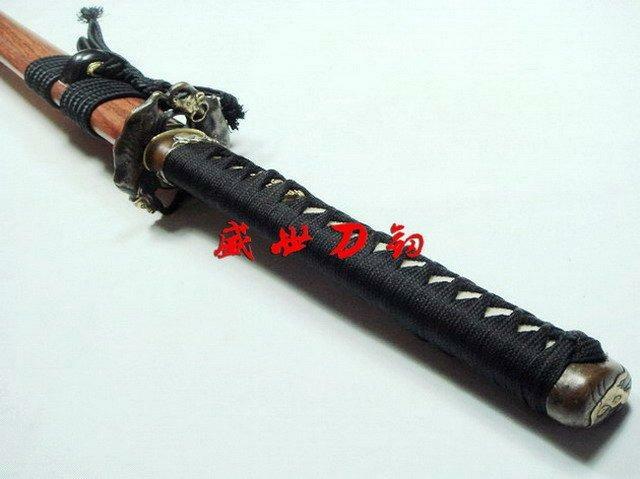 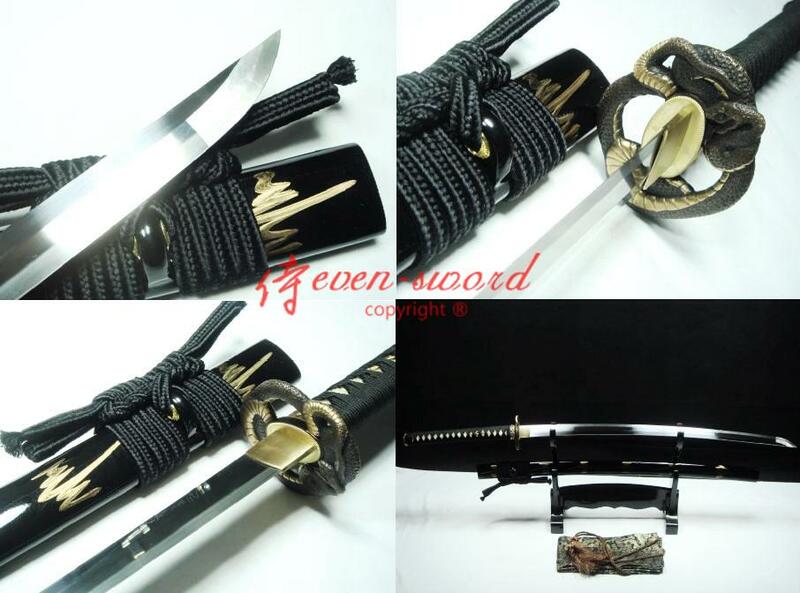 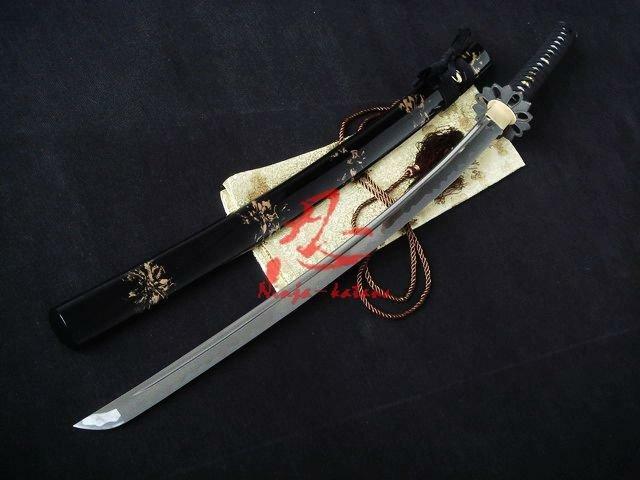 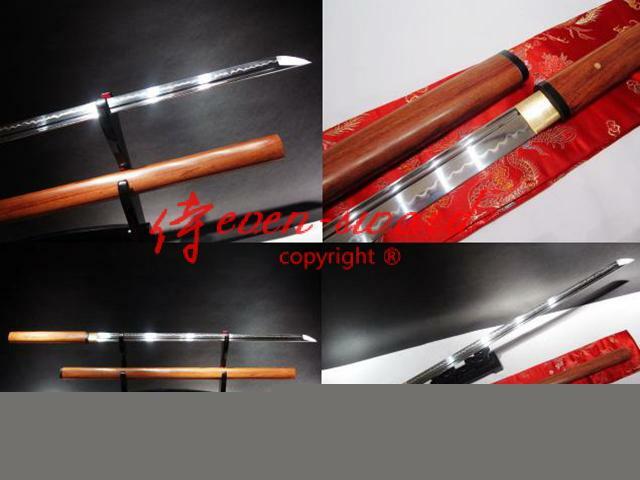 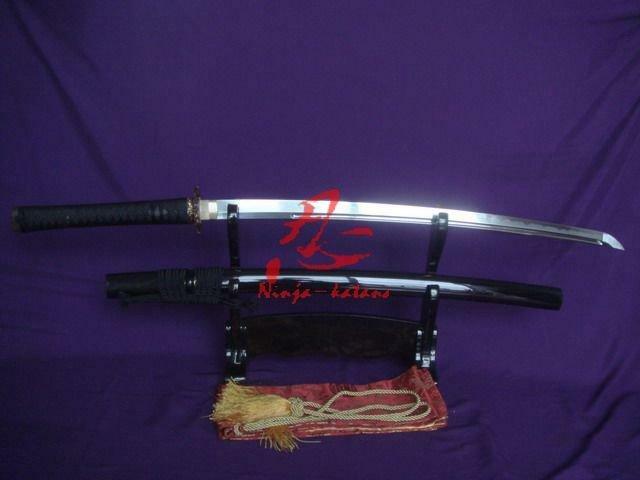 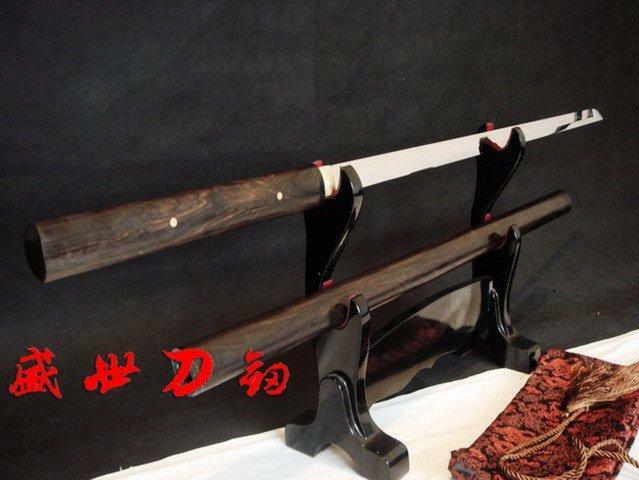 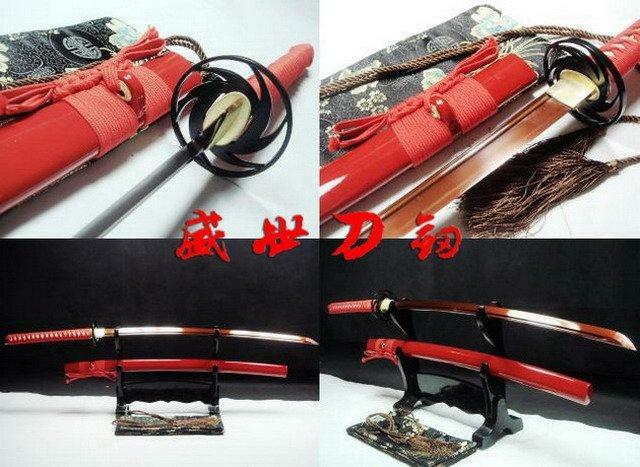 It will outperform antique katanas and looks amazing when displayed. 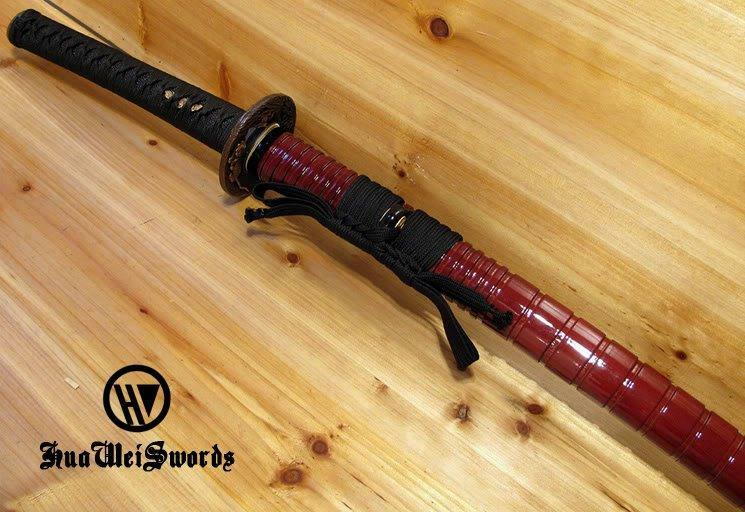 A truly high value collectable item.